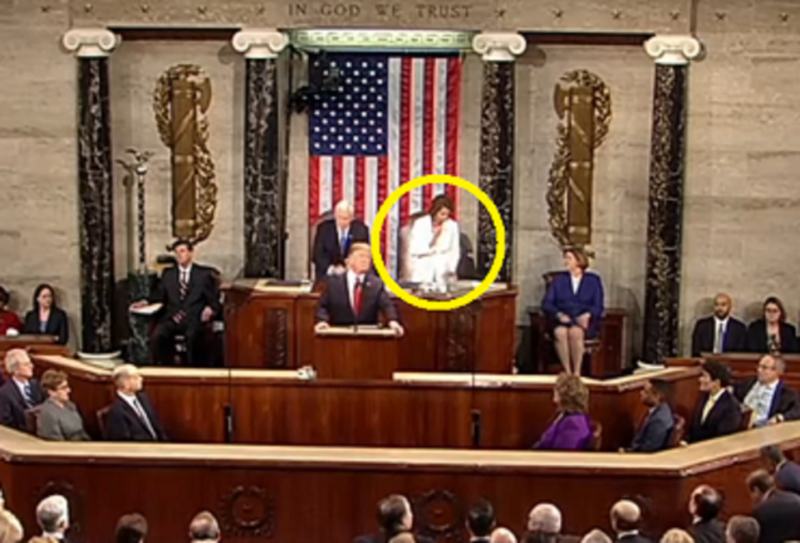 In addition to some strange facial expressions and mouth movements, House Speaker Nancy Pelosi (D-CA) appeared to freeze or “glitch” a couple of times during President Trump’s State of the Union Address on Tuesday evening. For a few moments, Pelosi stood and kept her right hand raised up in the air while everyone else in the room was already seated. UPDATE #1: Here she is “glitching” again. What’s going on with Pelosi? Both instances can be spotted in the original White House YouTube video at timestamps 20:10 and 50:40. Is she well enough to serve as the Speaker of the House of Representatives?